The attack was perhaps the largest one since the 1967 Six Day War. Is it a possible prelude to US/Israeli/Turkish full-scale war on Assad? Things have been heading toward it for many months. 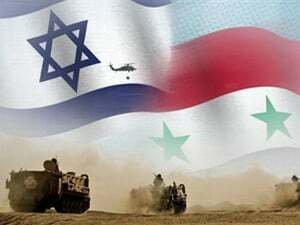 Israel has multiple objectives – eliminating Syria as a rival regional state, balkanizing the country for easier control, blocking the Iran nuclear deal, blaming nonexistent Tehran-orchestrated rocket fire on northern Israel to influence Congress, and ultimately replace Islamic State sovereignty with pro-Western governance. (A)n Israeli helicopter fired rockets on Quneitra (earlyThursday evening) targeting the Transport Directorate and the Governorate’s Building…caus(ing) material damage only. Hawkish Defense Minister Moshe Ya’alon claimedThursday’s incident was a “coming attraction” of more to come – from “a richer and more murderous Iran” aided by sanctions relief. Separately, Obama told congressional Democrats he’ll continue economic pressure on Iran, maintain the military option, and increase missile defense and other aid for Israel if the nuclear deal is approved next month. Just as the tightening of sanctions in 2012 led to a sharp decline in Iran’s oil exports and two years of negative growth, we expect the removal of sanctions to boost exports and revive the economy. Foreign investors are eager to do business in Iran. German vice chancellor/energy and economics minister Sigmar Gabriel visited Tehran – pledging to restore economic ties. He led a delegation of 60 German corporations eager to gain entry to Iran’s market. French Foreign Minister Laurent Fabius came for the same reason. The Hollande government intends sending a delegation of 80 French companies to Tehran in late September. EU foreign policy chief Federica Mogherini is expected to come. Britain, Spain, Sweden and other European countries plan visits. Israel is going all-out to keep Iran isolated. Expect more baseless accusations ahead. Maybe Netanyahu has a major false flag attack in mind next – anything to keep demonizing Iran, block the nuclear deal, as well as maintain pressure against Western investment and trade.